Planning for the Rio+20 Conference: Enter the Commons? The Rio+20 conference in Rio de Janeiro this June will be a major event in the world’s ecological history. The event, officially the United Nations Conference on Sustainable Development, will provide an opportunity for the world’s nation’s to take stock of what has happened to the environment since an earlier, landmark conference in Rio in 1992 – climate change, loss of biodiversity, species extinctions, desertification, etc., etc. – and to plot ambitious strategies to save the planet in the coming decades. But don’t hold your breath. The world’s governments are not likely to come up with anything significant. The G-20 nations, which have been described as the “executive board of the world,” have little interest in bold political and institutional reform. That would only disrupt the desperate search for economic growth. An open, candid inquiry into the growth economy, consumerism and the finite carrying capacity of Earth’s biophysical systems would be far too politically explosive. It is far easier to talk about a “green economy,” as if greater efficiencies alone will save the planet. The real goal of governments at Rio+20 will be to make it look as if they are doing something significant for the environment. 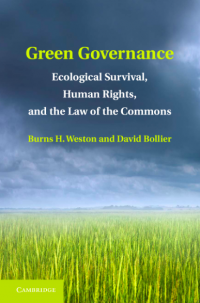 No one expects that Rio+20 will result in serious, practical government commitments to “sustainable development” (whatever that means), let alone new forms of multilateral governance that could arrest the planet’s ecological decline. Given these credible expectations, a lot of people are looking to the alternative People’s Summit Rio+20, which in late May will convene a wide spectrum of international environmental, social justice and indigenous rights advocacy groups. These are the people with a serious commitment to change and a willingness to grapple with ecological realities. In preparation for the conference, a wide array of these groups, many of them associated with the World Social Forum, recently met in Porto Alegre, Brazil, to do some advance planning for Rio+20. One significant thing that came out of these meetings was a sense that the commons will have an important role to play in sketching a new vision of governance and pro-active strategies. There is a realization that it is no longer enough to denounce globalization or rail against capitalism. Realistic alternatives must be set forth. 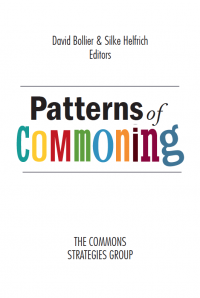 For many, it would appear that the commons can provide a useful framework and vocabulary for starting a very different conversation – one that at once addresses politics, economics, culture and our individual aspirations and energies. The following text was produced by one of the 17 working groups at the Thematic Social Forum which took place between January 24 and January 29 in Porto Alegre. Commoners from Brazil, Germany, France, India, Argentina and Bolivia took place in producing this “open document,” which will evolve in coming weeks and months. The version published below will serve as input for a more general and comprehensive document that will be prepared for Rio+20 by the Thematic Social Forum. (More on this process here.) Translations into Spanish, French and Portuguese have been done already, and a German version is in the works. A grateful salute to my colleague Silke Helfrich for her role in this process, and for her blog post about this. Here is the insightful document produced by the working group. Highly recommended! Technological:through genetically modified organisms (GMOs), restrictive systems of access to culture (DRM),geoengineering, etc. 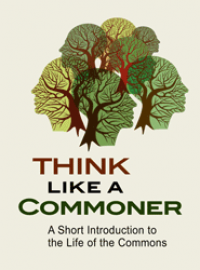 The commons (some call it common goods) are not simply shared “goods.” The term refers to social practices based on the principle of commoning (the making of a commons). The goals of a commoning-process are clearly different from the typical practices of the state / market duopoly. 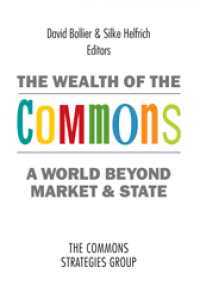 Furthermore, the commons are a useful conceptual framework to analyse the future that we want. The commons functions like a different operating system at the level of community and probably (here is where the challenge lies) for the entire society, provided we devise appropriate institutions and policies.Hence, the construction of this conceptual framework is a dynamic process. 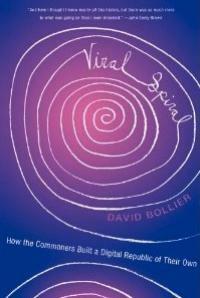 It requires everyone to listen to what each social movementunderstands to be a commons. It is necessary to know more about the specific practices of commoning, whether they be embodied in indigenous and peasant communities, local seed banks, non-market-based initiatives of urban housing, or communities of developers of digital culture and software. We must understand the similarities of enclosure that each field is suffering, the silent as well as the well-known ones. 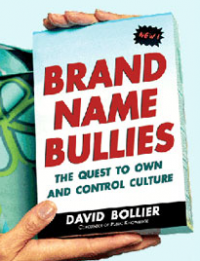 This mutual awareness can help us to find a way to overcome crippling dualisms like public and private, state and market, individual and collective. In this way we aspire to create new settings that are structured according to creative principles of governance that arise from the bases. The processes of enclosure face resistance. And most of them can be analysed from a commons perspective. On each continent, organized communities are confronted with these challenges. In Bolivia, for example, there is the emblematic case of TIPNIS, the indigenous territory and national park threatened by the construction of a highway that would split in half a pristine park. Indigenous organizations marched more than 600km during two months in defence of this park and long-standing ways of life based on the communion with nature and on self-government, receiving extraordinary support and urban solidarity.As in this local struggle, the resistance is global. Attacks on water as a commons are encountering organized community resistance in the Americas, Europe, Asia and Africa. Twentyseven million signatures were collected in a referendum on “water as a commons” in Italy in 2011. Some examples of the variety of experiences, innovations and productions based on the commons are, among many others: strategies of collaborative consumption associated with barter and the practice of sharing; systems of community management of shared resources like forests, waterways and fishing grounds; and numerous initiatives that are building digital commons.Together these commons constitute a rich kaleidoscope of working models based on self-determination and collective management of shared resources.The social practices related to this paradigm naturally vary and yet they also have common features. A principal one is that they exemplify the idea that one’s self-fulfillment depends on the fulfillment of the others, and vice versa, and that this mutual concern blurs the borders between individual and collective interests. Your blog was first introduced to me by one of my professors at the University of San Francisco in a course on Religion and its complex relationship with the environment. It was also in this class that I was first introduced to the concept of the commons, which has opened up a world for me I never knew existed. I would like to personally thank you for all the work you do in this blog, because just like I’m sure it has for many others, it has affected me tremendously and possibly given me the direction of my life. I hope that I can find a way to be a part of this movement and contribute to the foundation of its framework. Again, thank you for this brilliant resource.